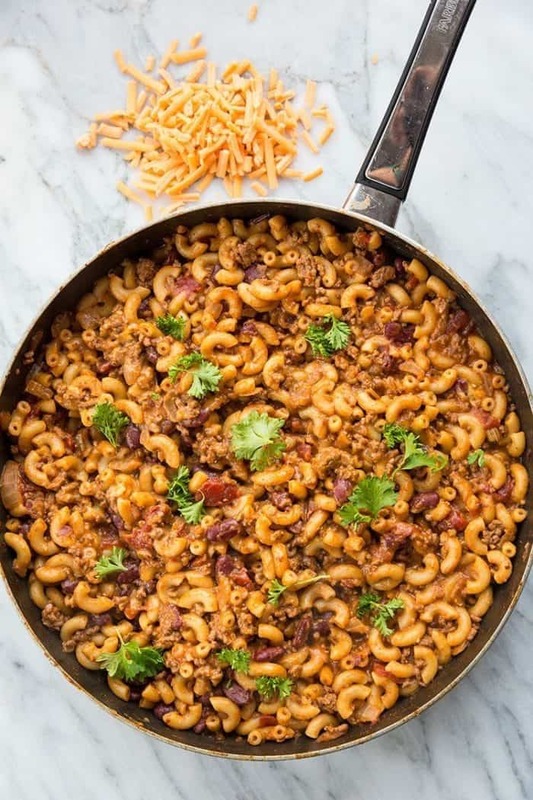 This Homemade Cheesy Chili Mac Skillet has two secret ingredients that make this the BEST cheesy chili mac skillet you are ever going to eat! I promise! Have I ever told you how many chili contests I have been a food judge for? Probably not, because I honestly have lost count. I have eaten SO MANY CHILI’S in the name of Edmonton food goodwill that I can barely make chili at home anymore. Well, not quite, but you get my drift. 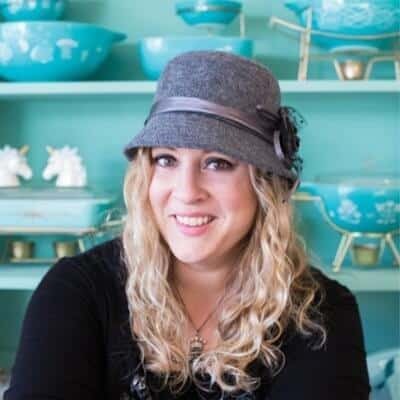 The bonus to eating all that chili is that I got to look at the recipe’s for allllll those amazing chef’s chili’s – and you want to know what I have learned? The winning chili almost always has ketchup in it. 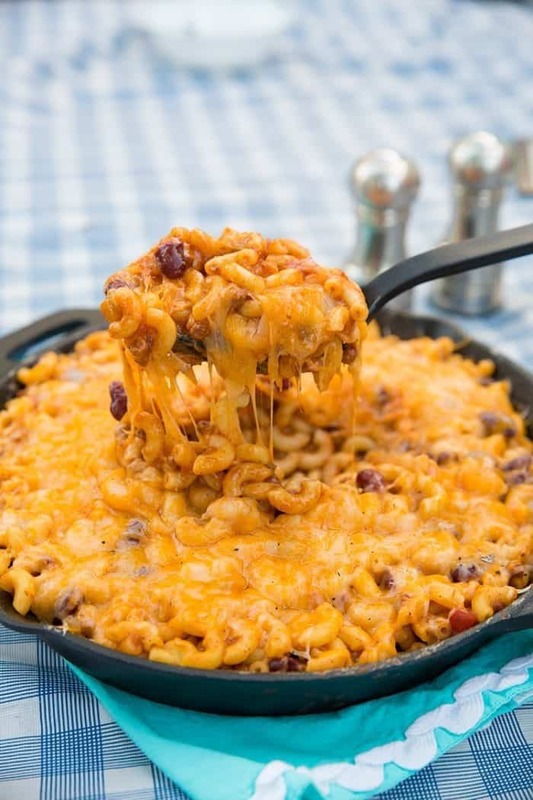 That’s the first secret ingredient to making the best cheesy chili mac skillet. I kid you not my friends, the best chefs in Edmonton would use ketchup in their winning chili’s time and time again. It’s the sweetness that cuts through the acidity of the tomatoes that does the trick, something that I will mention on every tomato recipe on this website. The trick to a superb tomato based dish is a bit of sugar to cut the acidity. It can come in the form of ketchup or sugar, take your pick. I prefer to use ketchup and reap all the flavour benefits but I’ll also throw in a teaspoon or so of brown sugar when I don’t have ketchup handy. If you see a tomato based dish like my homemade cheesy chili mac skillet and it doesn’t have sugar or ketchup, add some. Just a bit, a teaspoon or two of sugar will do – and usually a 1/4 cup of ketchup will amp up the flavour if ketchup works in the dish. 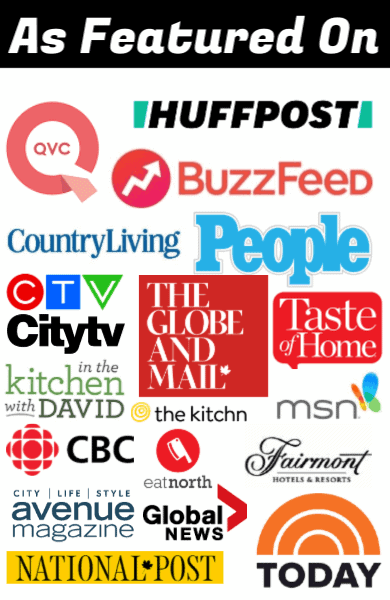 Your cooking world will be all the more amazing for it. Secret ingredient #2 for my homemade cheesy chili mac skillet? 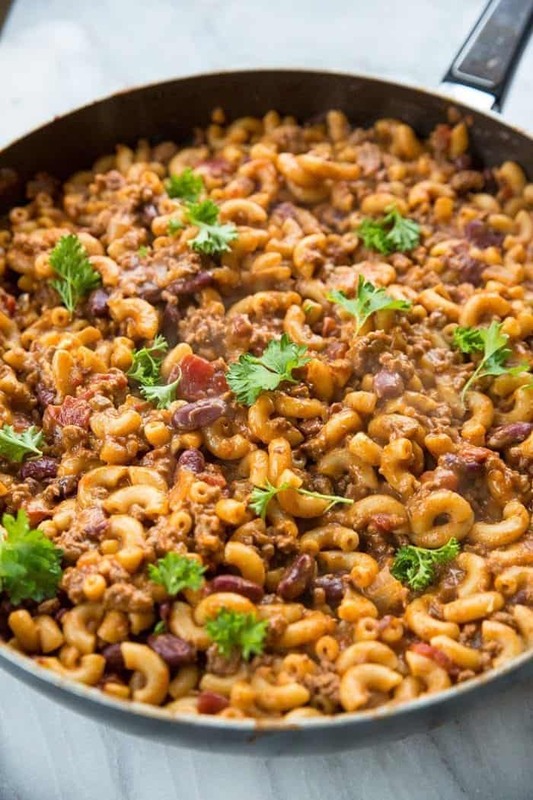 You would be surprised how little Velveeta is needed to make the best chili mac. Not only that, we used one cup of Velveeta, cubed, and we didn’t need cheese on top. You can of course, top this with cheese, but I was amazed at how adding just that one cup of Velveeta made it just cheesy enough. I garnished it with parsley, skipped the shredded cheese and it was perfect for our palates. 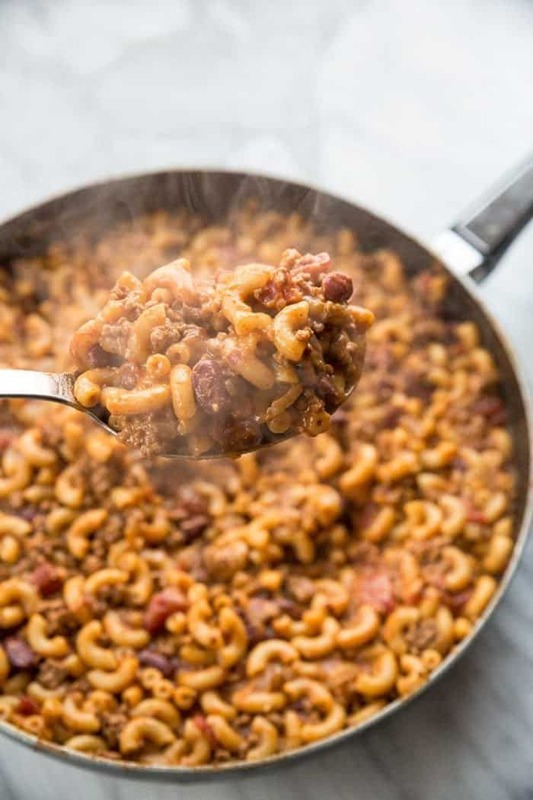 The Velveeta cheese does this wonderful job of melting seamlessly into the chili mac skillet, thickening it up sooooo perfectly. You will also save a ton of calories if you leave the cheese off, if that’s your wish. 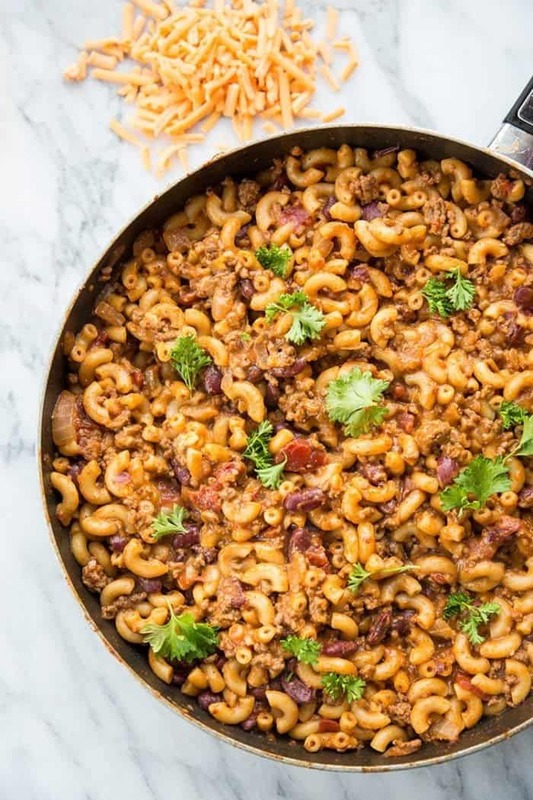 Let me tell you, this cheesy chili mac skillet is on the permanent dinner rotation list – the kids loved it! 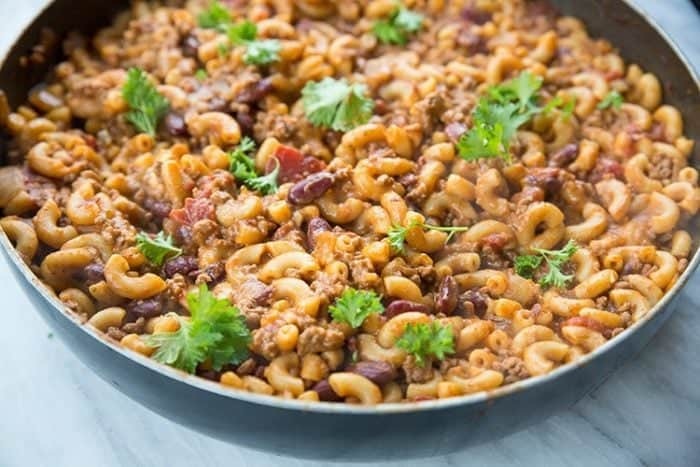 This homemade Cheesy Chili Mac Skillet is one of my family's new favourite meals! The addition of my two secret ingredients ( Veleeta & ketchup) makes ALL the difference! 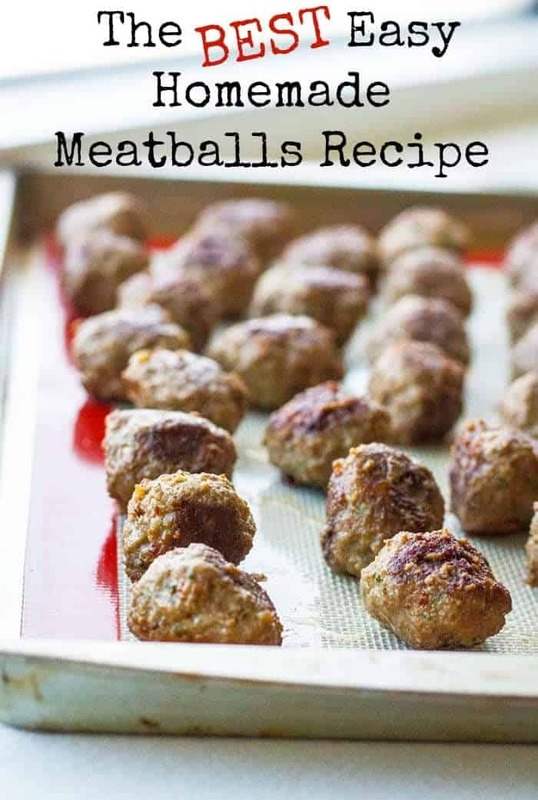 In a large lidded skillet OR large lidded pot, fry the ground beef and onion until the beef is no longer pink and the onions are soft and translucent. Drain the fat then sautee the garlic for two minutes. Stir in the tomatoes, beans, ketchup, broth and spices. You can also use 2 tbsp of my homemade chili mix instead. Once those are incorporated, stir in the dry macaroni. Cover with a lid and simmer on low for 10 minutes, stirring every once in a while to make sure the macaroni doesn't stick. Once the noodles are al dente and the liquid has mostly evaporated, remove from the heat and stir in the Velveeta. Cover again for 5 minutes to let the cheese melt. Stir the now melted cheese throughout the pasta and serve topped with cheese, green onions or parsley. My Homemade Chili Mix is perfect in this recipe! Just use 2 tbsp of it instead of all the spices! Thanks for the easy recipe, even my picky son ate it and he likes nothing. 5 stars from us! Oooh my gawd this was AMAZING AND THE BEST CHILI MAC Ever!!! thank you thank you thank you!!!!!!! Five stars! Awesome to hear!!!!! Thanks for letting me know!